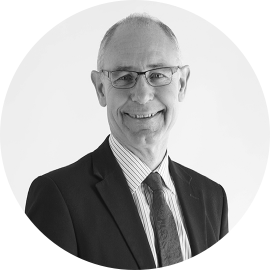 Mark joined us in August 2009 from Bury St Edmunds’ largest Chartered Accountancy firm, where he had spent 26 years, laterly specialising in Corporation Tax. He has always been used to giving clients a very personal service, managing internal communications effectively to work closely with colleagues on accounts and audit work. The quality of work that we do, the breadth and depth of that work and the opportunity of having much more involvement direct with you, our clients, are the things that tempted him to come to us. He is enjoying being more actively involved in managing our complete service to you and brings a wealth of experience of corporate finance and restructuring, employment taxes and international tax matters, in addition to a range of tax mitigation planning techniques. Interacting with everyone else here, he is proving to be an invaluable source of knowledge and advice to other members of the team to make the work we all do for you more efficient. He grew up in Bury St Edmunds, graduated from Bristol University with a Maths degree then came back to Bury and qualified as a Chartered Accountant in 1981; the lure of Suffolk proved too great to allow him to escape for long. A social being, he is always keen on organising us to have more firm´s activities, and in addition to the fun this develops our efforts to provide you with a team approach to ensure you always have somebody that can deal with your queries if your main contact is out of the office. Serious gardening is his passion, so much so that he has studied for and gained the RHS Advanced Certificate in Horticulture. Growth is therefore very much in his daily life, either at work or home and he enjoys nurturing businesses or plants in equal measure. Other pursuits help him to keep fit and healthy and his teenage children ensure he keeps in touch with contemporary trends – just ask him about his liking for Florence & The Machine!